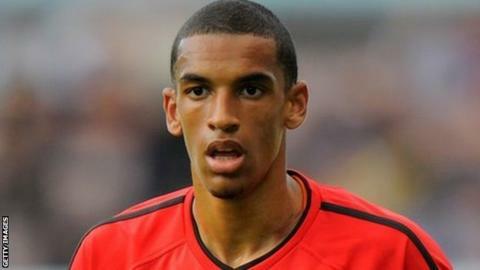 Nick Blackman's penalty was enough for Sheffield United to remain unbeaten in League One with victory over Walsall. Blackman slotted home his spot-kick after Dave Kitson was fouled in the box by Dean Holden, who was sent off for denying a goalscoring opportunity. George Long then produced a fine double stop to deny both Will Grigg and Jamie Paterson and maintain the Blades' lead. Despite seeing much of the ball, United could not find a second, with sub Shaun Miller having a fine effort saved. The Blades are now the only unbeaten side left in the Football League this season. Despite their fine form earlier in the campaign, Walsall, who are without a win in six games in all competitions, drop to 15th in League One. "We got the goal from a penalty, which was a definite penalty, but I think the tempo of our game went after that. "They went to 10 men and all of a sudden I think we thought we were going to coast it. "They've got some very good players at Walsall, some very good young lads who know how to play. Full credit to them. They really stuck at it. "We put a few balls in the box with no-one in the box, we overplayed a few times and were too slow at times but we ground it out."